There has been a lot of buzz & paranoia around the topic of Artificial Intelligence lately, and most of it has to do with billionaire entrepreneur, Elon Musk and his call for the regulation of AI. While many people are now worried about the advances in AI, Andrew Ng is not one of them. 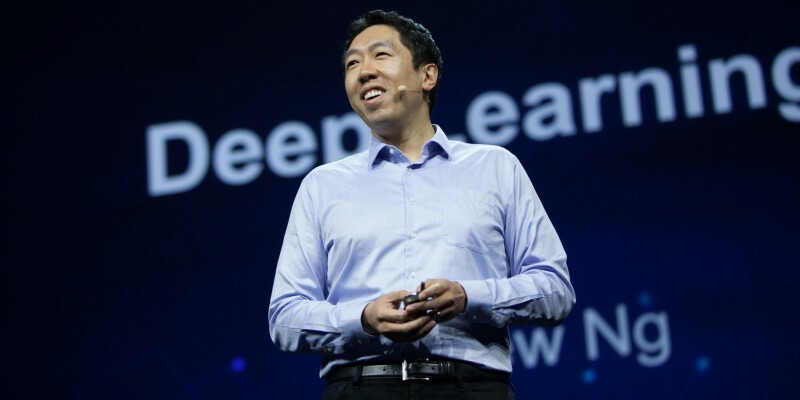 A soft spoken but key player in the AI & Deep Learning landscape, Andrew Ng broke headlines today as he made an announcement of his new online courses geared towards educating people to the principles of deep learning. He hopes that his new courses in AI education will lead to developments in Deep Learning outside the technology realm. If you haven’t been an avid follower of the developments in the field of artificial intelligence, then you are probably unaware of who Andrew Ng probably is. When it comes to machine learning and data science, Andrew Ng is a superstar. He started his career as a professor teaching computer science to students at Stanford. Ever since then, he has been making huge waves in AI advances. In 2011, he joined Google and led the Google Brain Project that focused on research in deep learning and artificial intelligence. Shortly after leading this project he also co-founded coursera where his new Deep Learning Specialization courses will be found. In 2014, he joined Baidu, the Chinese search engine, as Chief Scientist, and carried out further research on Big Data and artificial intelligence. He recently resigned this past March from Baidu, which resulted in the company’s value to fall by the millions. Since his resignation, people have been watching closely for his next steps on educating the world on AI. Today, we learned what Andrew Ng has been up to since his resignation. He released a blog post on his medium account announcing his new AI education courses on Coursera. He even made a domain for his deep learning courses called deeplearning.ai. Andrew Ng believes that the courses will result in a expansion of knowledge in the AI landscape. He also hopes that it will tackle job displacement as AI turns more and more jobs into automation.